Henry Preiss launches spirits arm of HPS Epicurean under familiar moniker. 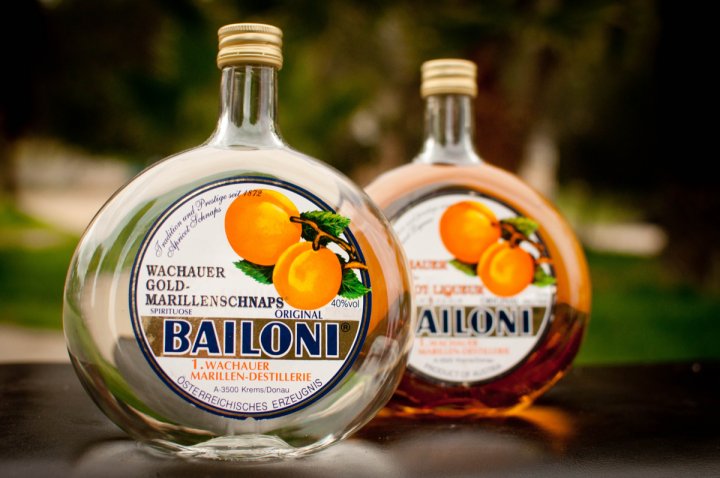 Preiss Imports—part of HPS Epicurean—markets a number of artisanal products, including Bailoni Gold apricot schnapps and liqueur from Austria. Ramona, California–based importing company HPS Epicurean recently announced a partial rebranding after reacquiring the rights to the name Preiss Imports. Founded by Henry Preiss and his daughter Nicole Preiss in 2012, HPS Epicurean imports a number of artisanal spirits, wine and food brands. The spirits division will now carry the name Preiss Imports, while the umbrella company will continue to operate as HPS Epicurean. The portfolio includes Polugar ($40 to $200-plus a 750-ml. bottle), an Eastern European “bread wine” that’s described as “the father of vodka and the brother of whiskey.” It’s distilled from wheat or rye, bottled at 38.5-percent abv, and flavored with such ingredients as caraway, garlic, pepper, honey and allspice. The top-selling product by value is Marca Negra mezcal, which includes five variants ($66 to $143). Preiss Imports also offers Casa d’Aristi rum-based liqueurs ($29 to $33), made in Mexico’s Yucatán Peninsula. The line includes the 30-percent abv Kalani, flavored with fresh coconut milk; the 30-percent abv Huana, made from guanabana fruit; and the 35-percent abv XTA and 30-percent abv Xtabentún, which both use honey from local stingless bees. “Italian spirits and products have grown in the past thanks to Italian restaurants, and I believe very strongly that Mexico is going to dominate that position in the coming years,” Henry says, noting that the liqueurs lead in volume thanks to their marketability. “They make a great cocktail with Tequila or mezcal, and people end up using them a lot,” he adds.